Perhaps a decade ago, I briefly spoke with the man who had been the Secretary of the Treasury, the President of Harvard, a chief economist for the World Bank. My question? What is the most important idea we can teach in economics? 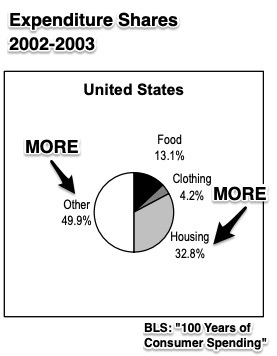 Today, through a century of consumer spending, we can look at the power of the market. 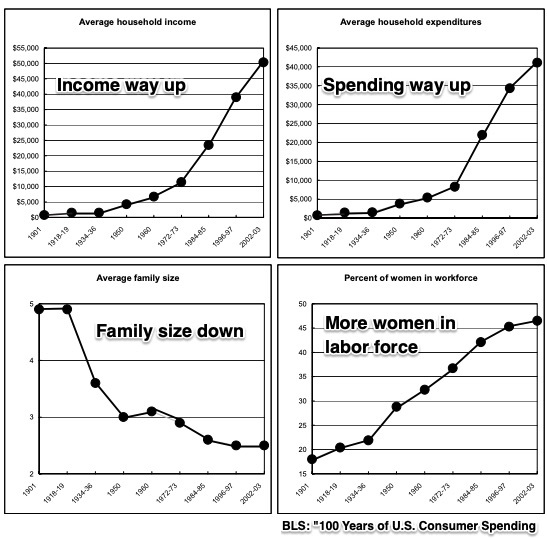 In his 1993 book, Pursuing Happiness, Princeton professor Stanley Lebergott describes the 20th century changes in consumer spending that made life easier and more enjoyable. 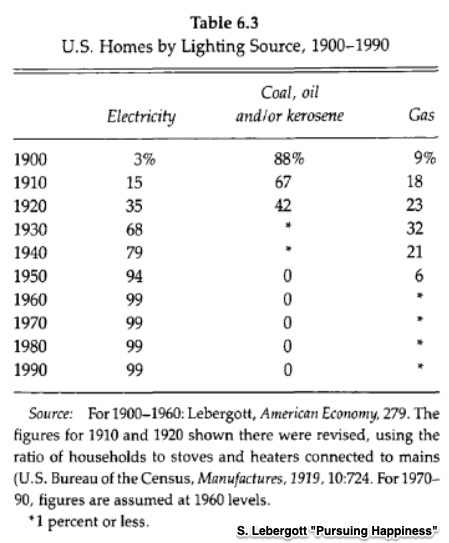 Focusing on household amenities, he cites the spread of electricity, refrigerators, and washing machines. He tells us that we had more telephones and medical care. 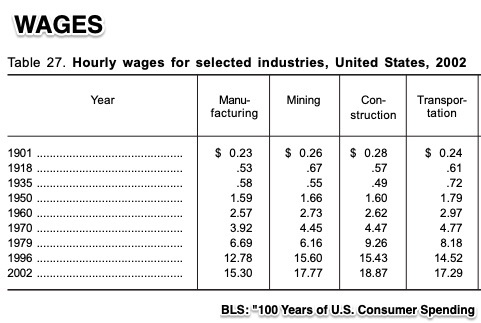 So, as we summarize it all through BLS (Bureau of Labor Statistics) numbers, please think about how our lives became more comfortable. It’s tough to defend the market. After all, it is based on incentives that some view negatively like self-interest and profits. And it’s impossible to grasp how millions of consumers and businesses independently will make good decisions. But rather amazingly, guided by “an invisible hand,” together we have produced what we’ve wanted and needed. By contrast, some people say that we have to leave the important stuff to the government because then one entity is in charge. Based on the history of the market in the U.S., I suggest, as did Lawrence Summers, that the market is more powerful and more dependable. I should add that I know I am oversimplifying and government, since the New Deal, has played an important role. And I know also that I should point out the market works best when we ethically adhere to our contractual obligations and moderate inequality. But still, we should respect and remember the power of the market. 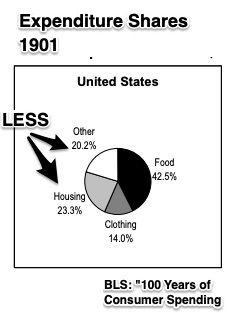 My sources and more: This BLS paper and S. Lebergott’s Pursuing Happiness had the consumer spending facts and analysis. I also suggest listening to the Freakonomics episode with Lawrence Summers for some economic insight.